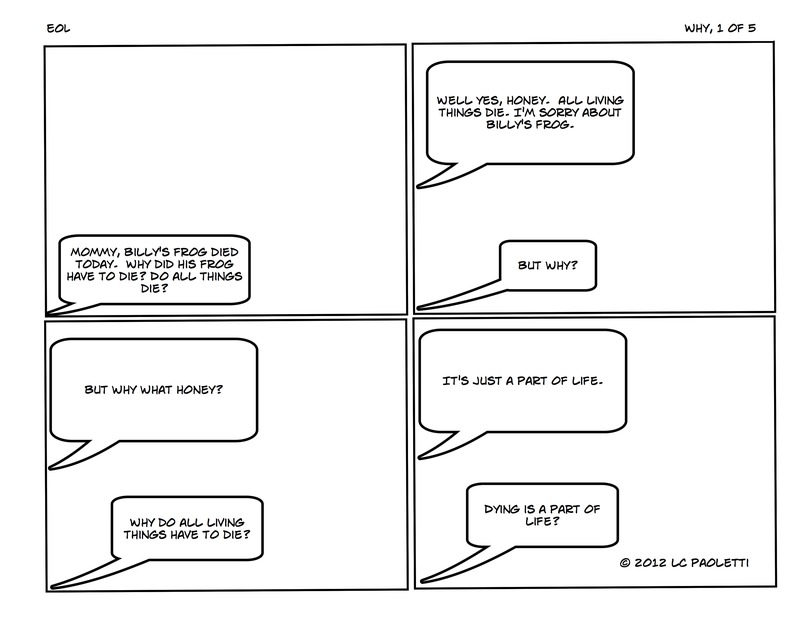 A dialog about death, dying and everything in between. Image | This entry was posted in Children and tagged children. Bookmark the permalink. More time to enjoy EOL! Thoughtful article on EOL directives. An ending of a lifetime. Beautiful. © LC Paoletti 2011-2012. All Rights Reserved.